TRAVEL COLUMBIA RIVER GORGE: Explore McMenamins at Edgefield in Troutdale! 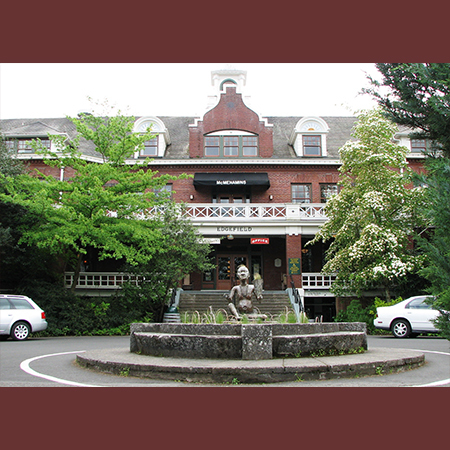 McMenamins at Edgefield stands at the beginning of the Gorge and they have something for everyone. The cozy interior is home to over a century of history, but also it's own whimsical touch. On site there are breweries and wineries, concert fields, movie theaters, gardens, and a golf course. On top of all that they continually have events going on all year long. "There's virtually something for everyone here," whether you're young or old, looking for adventure or relaxation, an early bird or night owl, says Owen Craig, manager of McMenamins Edgefield, which opened in 1991 as the chain's first all-inclusive venue. The 74-acre concert venue, hotel, golf course and winery boasts 10 bars and eateries, a movie theater, a spa and more on the outskirts of Troutdale. "We don't want people in their rooms. We want them out on the course, or in the bar telling tall tales," Craig adds. You won't find luxury rooms, sleek decor or five-star restaurants at McMenamins venues, but you will find personality, history, affordability and options. "We wanted to fit into the building, rather than creating a scene," says Mike McMenamin, one half of the brotherly duo who opened their first bar nearly four decades ago in Southeast Portland. Fitting the building has become part of the entertainment draw of the hotel complexes. Each of the chain's historic hotels is covered wall-to-wall with murals depicting the building's history, photographs and other homages to the past. Read more about McMenamins here.